The primary purpose of the Rural Program is to enhance the safety of rural victims of sexual assault, domestic violence, dating violence, and stalking and support projects uniquely designed to address and prevent these crimes in rural areas. The Rural Program welcomes applications that propose innovative solutions to achieving this goal and encourages collaboration among criminal justice agencies, victim services providers, social services agencies, health professionals, and other community organizations to overcome the problems of sexual assault, domestic violence, dating violence, and stalking and ensure that victim safety is paramount while providing services to victims. The Rural Program also recognizes the richness of diversity in rural communities and areas across the country, and encourages applicants to implement innovative approaches, through capacity-building and partnerships, to address the critical needs of victims in a manner that affirms a victims culture, effectively addresses language and communication barriers, and ensures accessible services for all victims. Creating and implementing strategies to increase awareness and prevent sexual assault, domestic violence, dating violence and/or stalking. OVW will only fund applications that propose projects that implement a collaborative response, support victim services and/or create a direct response to these crimes in rural communities. Proposed projects must devote at least 70% of their project activities and budget to Rural Program purpose areas 1, 2 and/or 3(A). Applicants may apply to address purpose area 3(B), but no more than 30% of the project budget and activities may be dedicated to prevention and awareness activities. Reduce violent crime against women and promote victim safety. Increase the response to victims of human trafficking. Include substance abuse professionals in a coordinated community response to VAWA crimes and increase victim access to substance abuse services. For additional information on the Rural Program, including what past Rural Program grantees have accomplished with their grant funds and to view the Rural Program performance measures and reporting data, see http://muskie.usm.maine.edu/vawamei/ruralgraphs.htm. Education and prevention for students not specifically related to sexual assault, domestic violence, dating violence and/or stalking, such as bullying or character building educational programs. Further, the following costs are not allowable with Rural Program funding: Lobbying; Fundraising; Purchase of real property; Physical modifications to buildings, including minor renovations (such as painting or carpeting); and Construction. Eligible applicants include states; Indian tribes; territories; local governments; and non-profit entities, including tribal nonprofit organizations. Grant recipients that received new or supplemental/continuation funding for 36 months in FY 2017 or FY 2018 are NOT eligible to apply. Applications were to be submitted by February 14, 2019. A similar deadline is anticipated annually. Up to $35,000,000 is available in FY 2019 for an estimated 50 awards. 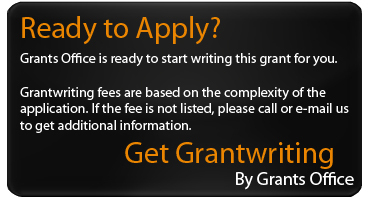 New applications may request up to $500,000. Continuation applications may request up to $750,000. Project periods extend up to 36-months, starting October 1, 2019. Cost sharing/matching is not required.